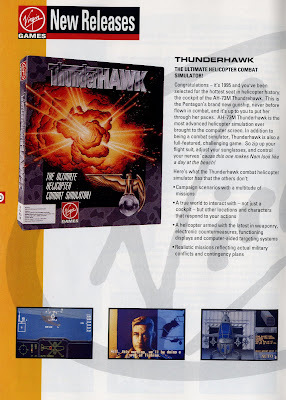 Thunderhawk is interesting because it's set in the near future -- 1995 -- and features a tagline in questionable taste: "... this one makes 'Nam look like a day at the beach!" Helicopter combat sims were big business for Microprose back in the day, and it's not surprising that Virgin tried to get in on the act with this title by Core Design (Tomb Raider). A sequel later appeared on the Sega Saturn. Shuttle: The Space Flight Simulator doesn't look much more sophisticated than Activision's Atari 2600 Space Shuttle title in terms of gameplay, but it uses 3-D polygonal graphics to provide more accurate simulation of docking maneuvers and was praised for its thoroughness at the time. PC games are often forgotten soon after release -- there's something about consoles that inspires more enduring nostalgia, it seems -- but Virgin put a lot of its developing and marketing money behind home computer titles, and we'll see a few more coming up soon. The title menu is pretty non-awe-inspiring, but once we hit the RUN button, the story gets underway with some simple but well-drawn animation. 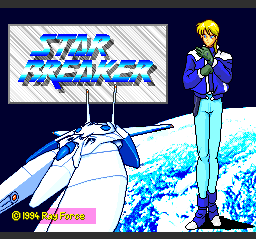 We are introduced to the game's hero, one Harry Straker, by a screen full of English text. 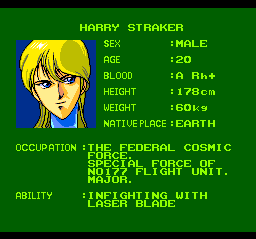 All of the voiced dialogue is in Japanese, but at least now we know that Harry is 20 years old, has type A blood with a positive Rh factor, and is pretty handy while INFIGHTING WITH LASER BLADE. This is all well and good, but of course, some precipitating action must precipitate. Harry Straker's ship suddenly malfunctions, and he plummets toward the surface of a mysterious planet. 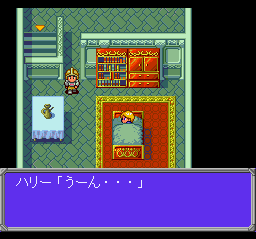 And of course, once he wakes up after the crash-landing, he finds himself in a typical JRPG fantasy kingdom, waking up in an unfamiliar bed while a squat, helmeted guard looks on. This is all pretty standard stuff, until we discover the castle's underground passageways, leading into a sci-fi setting where our ship is parked until we can repair it, and an alien lord of some sort is prepared to join our party. He's the hydrocephalic, big-eyed dude standing near another passage-blocking guard. After we've talked to everyone and rounded up the treasure chests' contents, the alien lord and the princess join our party, the obstreperous guards go on break, and we're ready to go adventuring. 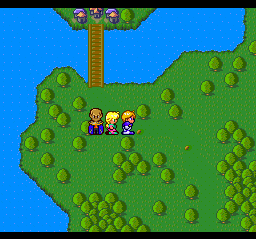 The game engine, surprisingly for a late PC Engine Super CD-ROM title, uses electronic chiptunes for almost all of the in-game music, with just a few orchestral CD-Audio themes for traveling around the world map. 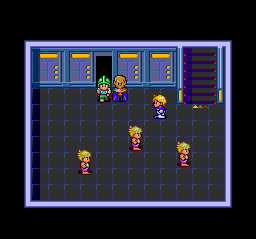 Battles are rendered in the traditional fashion, but are not impressive -- the enemies are colorful and varied, but the sprites are small and the enemy attacks are not animated. Our heroes display a little more oomph, but there isn't much to watch beyond watching the statistics get whittled away. Our party seems to level up fairly often and readily during the early going, and hit points are restored whenever that happens, so we don't even have to use many healing spells as the quest gets underway. And the Japanese menus aren't hard to deal with -- the standard fight, cast spell, use item and flee options are pretty much where you'd expect them to be. We go out and explore the countryside, kill some random monsters, and discover new towns, where we can replenish and upgrade our supplies, talk to the local townfolk, and go back out to explore and kill some more. So Star Breaker, aside from its odd fantasy/sci-fi hybrid setting, is pretty standard JRPG fodder. It's competently executed, but it's such run-of-the-mill stuff that it's hard for a clueless Westerner like me to stay motivated. 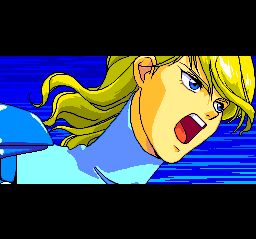 The game is playable, but the story isn't easy to follow without Japanese language skills, and so there's not much to do here besides muddle through. Ed. : Once again, the Ultra Review Roundtable convenes, this time to take on Uniracers for the Super Nintendo Entertainment System! 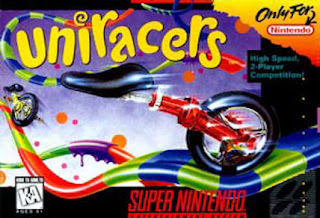 Uniracers, also known as Unirally in PAL territories, is a video game created by DMA Design, now known as Rockstar North, for Nintendo of America. Uniracers was called 1x1 during development and was released for the SNES in North America in 1994 with a PAL release in 1995. The game focuses on fast moving racing action and shows that the SNES could handle games similar to the popular Sonic games on the competitor’s Genesis without the need for "Blast Processing." An interesting Uniracers history lesson is that shortly after the game's release, DMA Design was sued by Pixar for allegedly copying the unicycle design and concept from their 1987 short film Red's Dream. Mike Dailly, one of the developers at DMA Design, commented, "The problem with Pixar was that they seemed to think that any computer generated unicycle was owned by them." DMA Design lost the lawsuit, and as a result, Nintendo had to terminate production of further Uniracers cartridges. According to Mike Dailly, "The deal was that Nintendo wouldn't make any more carts so Uniracers only sold the 300k initial run." 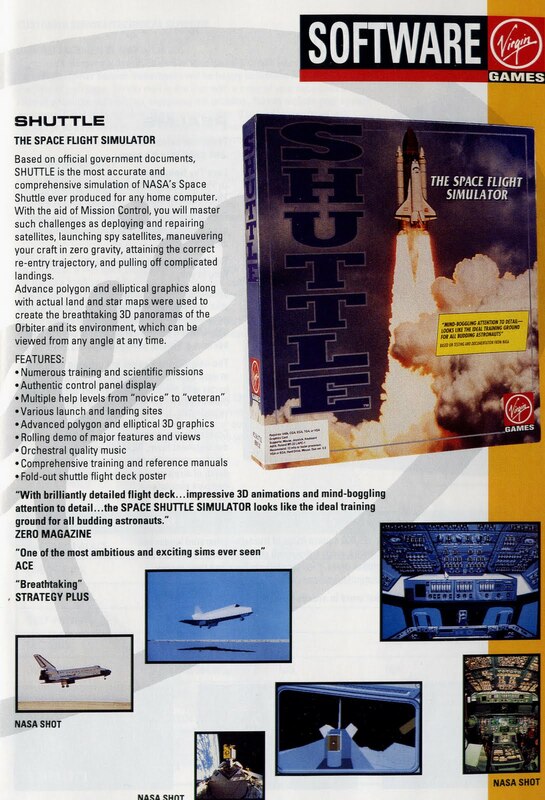 Many reviewers and players believe the game would have been quite successful, given its critical praise, had it not been limited to its 300,000 production run. The gameplay of Uniracers involves racing riderless unicycles around a 2D track. Heavy emphasis is placed on performing stunts which causes the unicycle to go faster on race or circuit tracks and earn points on stunt tracks. The stunts that can be performed are relatively simple, mostly only involving jumping in the air and rotating about a given axis in 3D space. The idea is to be able to perform these stunts quickly in tight situations while landing the unicycle on its wheel to avoid wiping out, which results in the loss of accumulated speed. If a long series of stunts are completed before landing, you receive a message saying,"Dude! ", "Whoa! ", or something similar. Uniracers features nine tours of five tracks each (two race, two circuit, one stunt) for a total of 45. Beating each of the first eight tours requires defeating computer-controlled opponents for each of bronze, silver, and gold ranks. The last circuit features the Anti-Uni as the computer controlled opponent. During that tour, touching the Anti-Uni causes several odd effects, such as the track becoming invisible, the controls reversing, and the background no longer moving in sync with the actions. Split-screen two-player modes are available as well, including a league mode that allows up to eight players to compete in one-on-one races. There are 16 different colored unicycles to choose from, each with a save file and customizable name. 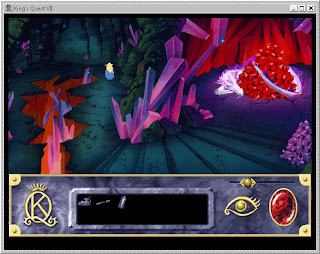 The graphics are vibrant and colorful. 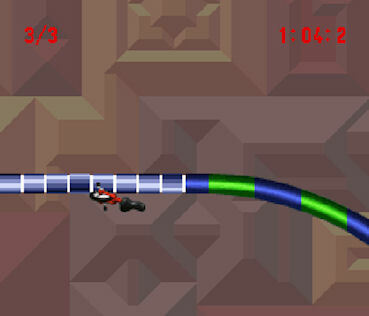 The levels are multicolored bars that display patterns according to the tracks layout, these bars correspond to maneuvers you should or shouldn't perform at that time in the track, for example a solid yellow bar indicates a shortcut and orange/yellow bars indicates an upcoming hazard. The unicycle animations are expertly done and show off a great deal of personality which is surprising considering what they are. Musically, Uniracers has some very catchy tunes that will pump you up and really give the game a sense of speed. The only issue here is that the tracks are too few in number and due to the short nature of the levels, you will be hearing songs repeated quite frequently. The sound effects have a great feel to them. From peeling out to the crazy effects that play when you properly execute a trick, every one feels like they are perfectly in place. Uniracers is a game that I can always play for a short stint or two. This time around we pulled it out on a retro drinking Friday and did a little head to head competition. I immediately remembered the level tune that sounds like Redneck Punk by the band Jackyl which was always hilariously classic to me. It only took a couple of races before the Uniracers virgins became proficient enough to compete with the veterans. That says a lot about the versatility and great learning curve of the game. Uniracers is all about memorization and perfection of each and every track. The key is knowing where every paint spot is and the twisting loop trap is before it comes up and figuring out each spot where you can maximize your trick potential. These twisting loops always caused frustration. The other great thing about Uniracers was the being able to replay each level in single player versus a progressively more difficult opponent. Oh that evil Goldwyn, how I hate thee! The trick levels were a thing of beauty and perfectly broke up the racing levels which made things constantly fresh. Having some single races and others with laps was also a nice bonus. Overall this is a must have for all SNES owners. You don’t have to be a fan of racing games to get enjoyment out of Uniracers. In the era of Donkey Kong Country and Killer Instinct, Nintendo and DMA Design Ltd.'s Uniracers made more subtle use of pre-rendered CG sprites. 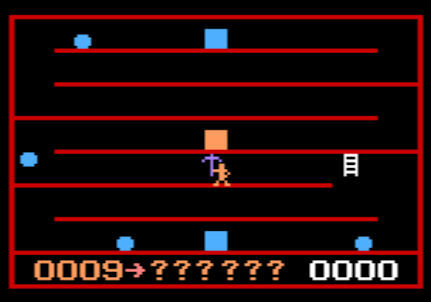 Most of the 2MB cartridge memory is devoted to graphics for the titular unicycles, allowing them to rotate smoothly through their acrobatic maneuvers, which means there isn't a lot of space left for gameplay. But that's not necessarily a bad thing; if anything, Uniracers feels like a throwback to the pre-NES era, with several dozen short, 2-D tracks that can be sampled quickly, but take time and experimentation to master. There's a lot of fun to be had here, the races are fast-paced and kinetic, and mastering some of the tracks, like the cheekily named “Wario Paint”, requires memorization and precise timing. The AI opponent doesn't always put up much of a fight early on, but the solo stunt tracks with steep curves and overhead leaps of faith provide some fresh challenges. And the presentation still looks impressive. While Uniracers doesn't do anything that couldn't be rendered in real time today, it still holds up well thanks to its sheer speed and smoothness, even in split-screen two-player mode, coupled with its quintessentially European Amiga-rock soundtrack. Uniracers! 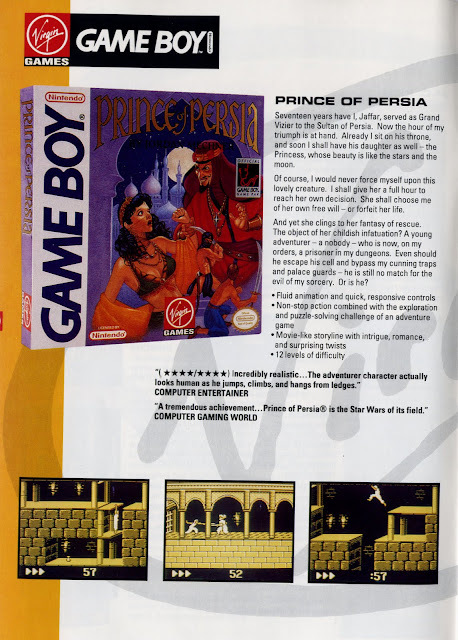 Another SNES game I did not own until we where given the assignment to write a review. How to you describe Uniracers to those that have never seen or played it? Twisted, Bizarre, Unique. It a one of those games never to be repeated. There has been nothing before and nothing after this game except for maybe Extreme-G on the N64, which comes close. Uniracers is a racing/platform/driving game where you race unicycles. Yes all the reviewers have gone stone cold mad. Not only is it so unique and crazy but it truly works so well and is a blast to play. While the concept is so simple, yet its not as easy as just rolling around the screen. This game adds a whole new twist on racing and is it not your typical top down or behind view that normal racing games give you, but a side scrolling view. How that works is the track is multi-directional so there are times you are changing directions from right to up or down or left. It completely mad. Think of when Sonic the Hedgehog rolls into a ball and Zooms through the maze with little to-no control quickly in one direction. Well like that but with control, changes of direction and tricks. Yes tricks! Rolls, loops, spins. There are untold multiple ways you can jump and spin your unicycle that not only looks flashy but also increases your speed. Ha it’s like a 16-bit SSX Tricky. Attempt to be too tricky and you will crash and burn. But your trick skills will be needed to increase your speed as you go up against more and more harder unicycles and courses. Because of the simple fact of riding unicycles around on lines, you’re technically not going to need the flashy graphics to get you there. I'm actually not sure how you could bump the graphics up to make this any more enjoyable. The tunes you race to aren't half bad and aren't going to get too annoying. Let’s do some math on this game. There are 9 worlds each consisting of 5 tracks and each world has 3 levels that's like 135 tracks to beat the game but with 16 different players to choose from you have to do all 2160 to completely finish the game. (“I’m not sure about his math, haha” -- HagenDragmire) So does that scream replay value or what? Not only is there replaying levels again and again to pull off several seconds, but also boasts a 2-player mode as well as a multiplayer competition mode which is sadly only two players at a time. A total gem and overlooked game, well worth a look if you like racing/platform/driving games. When I first saw a sealed copy of Uniracers on the store shelf upon its release, the game struck a chord with me. Unique to say the least, Uniracers really stands on its own as both a solid racer and just an overall fun game to play on your own or with a friend. While Uniracers is simplistic in design and approach, it is equally as complex in terms of gameplay and depth. The presentation and use of color in this game is extremely well done. The racetracks and their corresponding backgrounds are bursting with vibrance and just seem to leap right out of the screen at you. On the surface, Uniracers can be described as side-scrolling racing fare although it really is much more than that. What stands out here for me is the complete lack of unneeded fluff present in many of today's titles. It's all about the gameplay, reverting back to the arcade machines of old. You can choose a number of different unicycles to race with but they only differ in color. No matter which you decide on, this won't make things easier for you as in other racing games where certain vehicles have better attributes for specific tracks. Fast reflexes and quick thinking go hand in hand and are the true keys to the palace in terms of complete Uniracers mastery. Unlockables have become commonplace today but here, the only extras to earn are more tracks to race on. I love it. Working your way through the circuits, each consists of five tracks that require you to either beat the opponent to the finish on a linear dragstrip type course, complete a certain amount of laps, or perform a number of stunts to meet a predetermined score required to proceed. The stunts are where Uniracers really shines. You can execute twists, rolls and even flips. Not only do they look amazing and feel great to pull off, but each combination of stunts earns you a quick burst of speed, allowing you to buzz by your opponent when necessary. The more airtime you get, the more stunts you can perform at once. This, coupled with memorizing the tracks will guarantee you utter Uniracers ownage. It's been a while since I've been out actively looking for random videogame stuff, but as the summer thrift and rummage sale season kicks in I'm trying to hone my deal-searching radar again. One thing I'm noticing is that, in my first such round of activity back in the mid-90s, I found a lot of stuff from the early 1980s. It wasn't unusual to find troves of Atari 2600 and Colecovision games at that time, in middling, shoebox-stored condition, but they were there. Today, in 2011, the window seems to have shifted, but the time lag is similar. Now I'm mostly finding stuff from the mid-1990s, with a lot of Playstation and Nintendo 64 hardware and games in the mix. I wonder what drives this apparent fifteen-year window -- yes, I know I only have the two data points, and it would be more realistic to call it a fifteen-to-twenty-year window, but bear with me here. Is this time period a generation, roughly? Get a system when you're a kid, be ready to part with it as you're becoming an adult? Is fifteen years an average threshold of sorts for family moves, when unused stuff in the closet gets jettisoned? Is it when youngsters are setting up house and Mom and Dad start to send them all the junk they left behind when they went to college? Mysteries of the video game universe. Back in November of last year, a spam comment led me to an interesting Flash game developer based in India, and I've written a couple of posts poking fun at the company's sometimes slightly bizarre output. I really loved to play online games and flash games. [What changed? Did you get stuck playing one of FlashGamesMart's products?] These games are really very very amazing to me. [Man, you have GOT to get out more.] If anybody have online game site list and online games please provide a link to me also. Thanks, spambots! Keep 'em coming! This week, we're looking at the third and least-documented of the early text adventure games published by Bob Liddil's company, The Programmer's Guild -- it's called Temple of the Sun, credited to Jack Powers with a 1980 copyright, for the TRS-80 Model I home computer. 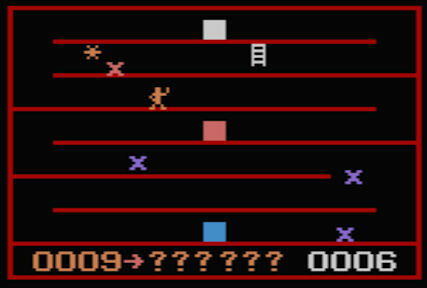 If you're playing this game under emulation or on a TRS-80 with a lowercase kit installed, be aware that the parser is picky and also case-sensitive -- we can't use s or go south, we have to GO SOUTH. The game's BASIC engine is a bit sluggish, so if you're using an emulator you may want to overclock it to speed up play. There's no SAVE GAME command, and a few random deaths, so be careful out there. Most critical objects are randomly hidden in the game world -- the player must EXAMINE ROOM in every location to unearth these items. I had to dig into the code to figure out why so many necessary items didn't seem to be available. The parser usually looks for the full name of an object, adjectives included. So when the player finds a CEREMONIAL MASK, for example, WEAR MASK does not work; only WEAR CEREMONIAL is accepted. There's a flashlight found in the game's first location, on the temple steps, and if we forget to take it along, it gets damaged by spirits by the time we come back for it, forcing a restart. LIGHT FLASHLIGHT yields an ON OR OFF? prompt, which is grammatically awkward, but TURN FLASHLIGHT also works. In my experience, the flashlight never runs out of juice. The large hall just inside the Temple's entrance has a CALENDER [sic], some hieroglyphics, and a knapsack; we can't GET KNAPSACK (the game responds YOU CAN ONLY WEAR IT) or OPEN KNAPSACK but we can, as hinted, WEAR KNAPSACK. The calendar is not portable, and provides no date-related info, but READ CALENDAR (or READ HIEROGLYPHICS) yields IT SHOWS A SHAMAN SKINNING A DEER TO MAKE A POUCH AND APRON. We will encounter a number of these pictographic hints as we explore the temple -- this one sounds grisly, but we'll eventually find one ready-made. To the southwest of the entrance is A SHRINKING ROOM with SKELETON DUST WALLS [whatever those are] COMING CLOSER. There's no escape from this unfortunate fate -- we eventually end up sealed between the two walls, and the game is over. This room is a major mapping nuisance, as many paths lead unpredictably into this fatal dead end. A SPINNING ROOM suggests it is disorienting, but it actually isn't. The map has quite a few diagonal paths that criss-cross, and plenty of one-way passages, making for some messy mapping, but the game's world is generally internally consistent. 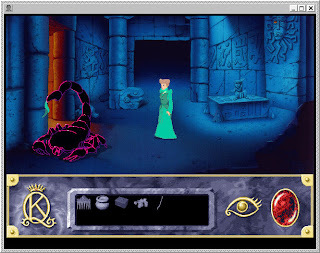 Most of the locations in the Temple of the Sun are simple and bare, and there really aren't many puzzles, aside from finding the necessary objects by executing the EXAMINE ROOM command in every possible location. The hieroglyphics provide some hints about the items we need to collect, and the SCORE command provides a much more explicit assessment of our current status, showing what we have in hand versus what we need to collect; this largely makes up for the broken INVENTORY command. Near the second waterfall bath room, we find a room with twelve stone altars, an ivory statue, and golden hieroglyphics that show the shaman GETTING A SMALL FRAGMENT OF GEMSTONE OR HIGH QUALITY GLASS into the pouch. This refers to the JADE EYES available to the south, stashed in the 3 JAGUARS (non-living) stationed there. Another room is identical in appearance, but actually contains 3 (live) jaguars that can be fatal if we don't successfully KILL them, so good mapping is important. At the Sacred Well, GO WELL actually GOes WEST to an area with rain and foliage, and a STATUE OF THE RAIN GOD TLALOC. The parser is prone to this sort of thing -- GO SOUTHWEST is interpreted as GO SOUTH, we have to GO SW to actually go southwest. SWIM WELL is more successful, but fatal as piranhas attack, making a sacrifice out of the player. We can also SWIM DOWN into the waterfall pools where YOU SEE A LARGE TUNNEL; but SWIM TUNNEL only establishes that YOU HAVE JUST ENTERED THE MOUTH OF A LARGE TURTLE. YOU NEEDED MORE SALT, BUT YUMMY. So there's no good reason to SWIM anywhere at all during our visit. The Quetzalcoatl Room has a STEEL BOX and an URN OF CRYSTAL; the urn contains a blackish liquid, and the steel box cannot be opened or examined. We can DROP LIQUID, which pours it out, and we can't get it back into the urn afterwards, but I never found a purpose for it. The Shaman Tomb contains seated mummies, but they're just for atmosphere. There are, however, random earthquakes, and wearing the wrong items can invoke the wrath of the tomb's spirits, both of which send the player straight to the Shrinking Room. 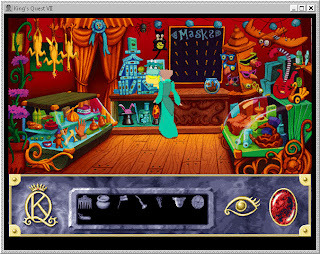 There are two locations named the Room of Fine Apparel, one of which has yet more hieroglyphics -- IT'S MISSING SOME PIECES DUE TO AGE AND WATER DAMAGE, BUT YOU CAN MAKE OUT A SHAMAN SPITTING 2 OBJECTS INTO A POUCH. These turn out to be the TEETH OF GOLD, referenced only as a SACRED ITEM by the SCORE command. A COTTON ROBE is found here, but it's eventually fatal if worn, so the fact that WEAR ROBE doesn't work (WEAR COTTON is expected) isn't such a bad thing. If we succeed in overcoming the parser's stubbornness, eventually A STRANGE BLUE MIST MANIFESTS, and we are judged by the spirits, whose grammar isn't great: THOU ART A FAKER AND ANGERS US -- and we're sent to the Shrinking Room to die. This also happens if we wear the non-feathered CEREMONIAL MASK. The astronomical hieroglyphics in the Solar Room show the SHAMAN PUTTING SOME CHARRED WOOD INTO A POUCH; going northeast from here exits back to the temple steps, which will come in handy later on. The hieroglyphics and the SCORE command cumulatively indicate that this game's object is to round up a number of items, wearing some and putting others into the sacred pouch (not the knapsack) in explicit imitation of the shamans of old. But we really have to hunt these items down -- the only workable approach is to traverse the entire map, examining each room until we have all of the required objects. There's a DRINK verb, but it usually returns EECH. I WOULDN'T THINK OF LETTING YOU DO THAT. Oddly, near the waterfalls EXAMINE POOL indicates YOU SEE A LOT OF FRESH CLEAR WATER, yet DRINK WATER here yields (with typos) YECH...IT'S BEEN SITTING HEREMFOR CENTURIES AND YET.. YOU SOMEHOWSURVIVE. After beating my head against this game for a while, I realized that EXAMINE is treated differently from LOOK, which is not actually a supported command. For example, LOOK ALTAR yields SORRY BUT YOU CANNOT LOOK ALTAR, while EXAMINE ALTAR indicates that ALL 12 SEEM TO BE MADE OF 12 INDIVIDUAL STONES FOR SOME UNKNOWN REASON. I had to dig into the code to solve the mystery of the unfindable hidden objects, and in the process I discovered a little homage to Scott Adams' classic Adventure #2: Pirate Adventure: SAY YOHO yields OH NO YOU JUST SAID THE SACRED WORD FOR BLASPHEMY. THE ANGLE [sic] OF DEATH JUST SWEPT DOWN TO TAKE YOUR POOR SOUL TO THE UNDERWORLD. Darn those obtuse angles of death! We can PUT [object], and are prompted IN OR ON WHAT (EX. KNAPSACK)? The prompt is misleading -- we have to type IN KNAPSACK, not just KNAPSACK. And the parser doesn't support general cases -- the JADE EYES can't be put IN WELL, for example. But we will need to use this command to put the magical items in the sacred pouch, that's its primary purpose. The big secret to finishing this game, in my case, was the realization that we can't GET (the charred) WOOD but can GET CHARRED, can't EXAMINE (the bronze) BOX but can EXAMINE BRONZE to find GOLD, and can't EXAMINE (the ivory) STATUE but have to EXAMINE IVORY. The randomized items include the SMALL FEATHERED CROWN, MINIATURE FEATHERED ROBE, CEREMONIAL MASK, COTTON ROBE, ROBE OF FEATHERS, KNIFE, FEATHERED MASK OF GOLD, TINY GOLD MASK, POUCH AND APRON, SNAKES, and the CHARRED WOOD. Sometimes the SNAKES appear when we EXAMINE ROOM and kill us instantly, but usually we can escape before they strike, and sometimes it is even possible to KILL SNAKES. 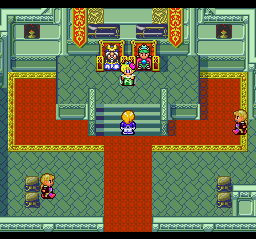 Temple of the Sun is more of a treasure hunt than a true adventure, and I found the randomness of it irritating until I realized what was going on and figured out how to find all the items I knew I needed but could not locate. My walkthrough is below the fold, and has also been posted at the CASA Solution Archive. Most of the critical objects are randomized and hidden, so as you navigate, be sure to EXAMINE ROOM everywhere. This walkthrough will tour the rooms, but omits the EXAMINE ROOM commands for brevity. Other items can be taken or left. Again, remember to EXAMINE ROOM in every location and collect the important items! WiiWare -- Again, one new game and a demo. Word Search Deluxe is what you'd expect, a word-search game using the Wii remote's pointer capabilities. There's also a free demo version of the early-learning education title, Learning with the PooYoos: Episode 3. DSiWare -- Three new titles up for download. Airport Mania: First Flight is a casual time-management game involving air traffic control and plane management responsibilities. Inchworm Animation is a fairly full-featured paint and animation tool for the DSi, and supports the DSi camera for doing time-lapse and stop-motion work as well; its primary limitation seems to be a loop/layer-based structure, not well suited for filmmaking per se. Ubongo is a puzzle/gem collecting game adapted from an existing board game. XBox Live Arcade -- Two new games. The Fancy Pants Adventures comes to XBLA as well (see PS3 section), and Section 8: Prejudice is a download-only sequel to the 2009 first-person shooter Section 8. PS3 on PSN --Three new titles. Telltale Games' excellent Puzzle Agent is now available on the PS3, along with Sega's classic Sonic the Hedgehog 2, emulating the Genesis original with trophies added. There's also The Fancy Pants Adventures, an expanded console port of the popular side-scrolling platformer Flash game. PSOne Classics -- Just as I was about to give up hope, Capcom's Resident Evil-style survival adventure Dino Crisis 2 shows up. Our page-by-page review of the 1992 Virgin Games catalog continues, with a couple of titles for the 16-bit Sega Genesis console. The SNES was making inroads into the home console market at the time, but Virgin's UK development resources and Amiga experience made the 68000-based Genesis a safer bet. 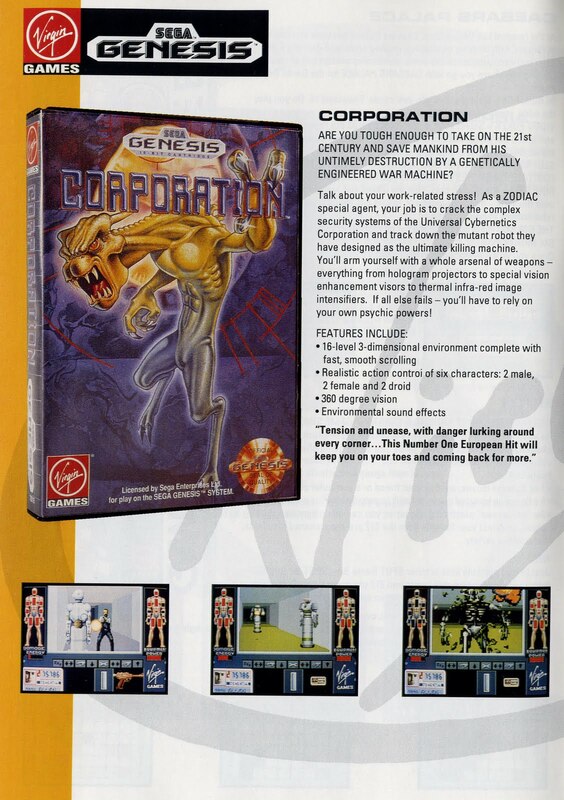 Page 8 features a game called Corporation, developed by the CORE Design folks, which managed to pull off a Castle Wolfenstein-style 3-D environment (with superior polygon support, at the cost of any wall texturing whatsoever). Unfortunately, a low frame rate and maddeningly disorienting, nondescript level design make it a chore to play. Games based on The Terminator were licensed for a number of different platforms around this time, a good eight years after the original movie came out, with Virgin Interactive releasing the Genesis title and Mindscape releasing very different versions for the NES and Super NES. This version plays more interestingly than the SNES game, but it still feels very much like a generic platformer with Terminator imagery grafted on. 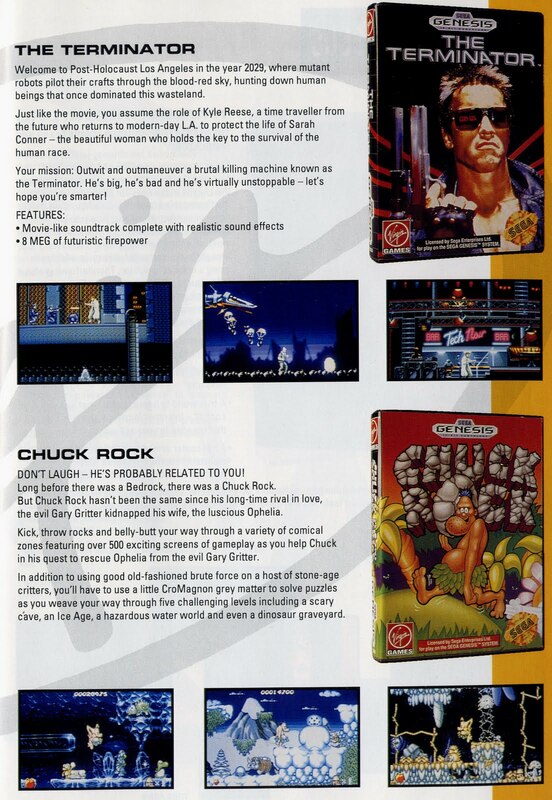 Chuck Rock is a Genesis port of one of those very British Amiga platformers, with a striking design aesthetic but middling gameplay. Chuck himself is a stone-jawed, potbellied character who looks like something out of the Beano, or a character Terry Gilliam would have animated for Monty Python's Flying Circus. He wanders about and, yes, chucks rocks at various comically presented villains, or belly-bumps them into submission. And the ultimate boss, Gary Gritter, is a play on 1970s U.K. glam-rocker Gary Glitter, who was recording for Virgin Records circa 1984 but lost that contract in 1990, according to Wikipedia. Next time, we'll see a few of Virgin's many PC titles. 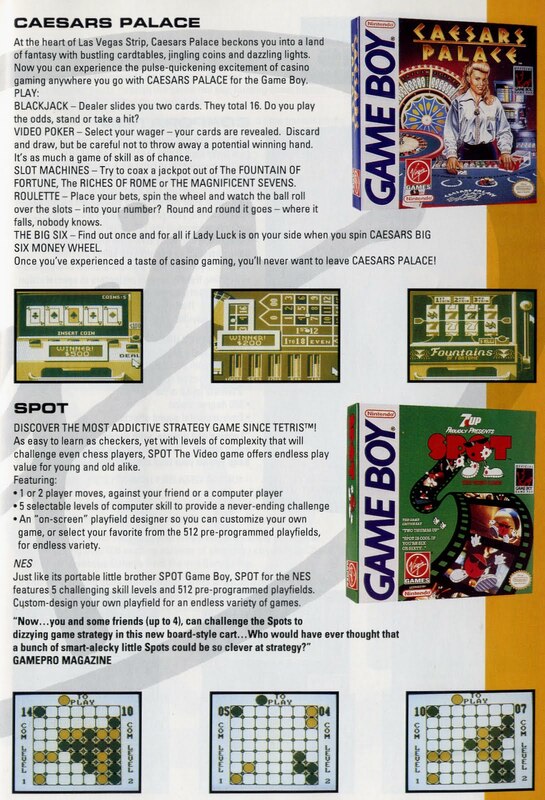 Our page-by-page survey of the Virgin Games catalog for 1992 continues, with a few titles for the original Nintendo Game Boy handheld. Caesars Palace is the usual gambling video game, produced under license based on the popular Las Vegas casino; Virgin and other companies have continued to produce games in this series over the decades. They're apparently popular enough, though the combination of luck and not-actual-money has never been a strong draw for yours truly. SPOT The Video Game is that rarity of rarities -- a game based on a licensor's mascot (in this case the 7-Up beverage concern's Cool Spot) that manages to provide actual entertainment. Virgin produced the original edition of this title for the 8-bit NES, and ported it to the Game Boy later on. The game works largely because it's the classical strategy game of Go (a.k.a. Othello) in disguise, dressed up with charming character animation as the stones transform into the SPOT character, strolling and flipping jauntily from position to position. Tomorrow... Virgin shows off its Genesis lineup! So this is an unusual technology combination from a little-known publisher -- Fujicom Co. Ltd., founded in 1994 shortly before this game was released; the company produced some Dreamcast games as well, and still survives today as an electronic parts supplier. 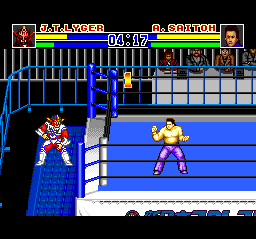 The game has four play modes, colorfully known as Battle Field in Tokyo Dome - Super Dream Match, G1 Climax Super League, Battle Scramble and my favorite, Vs. Battle Super Explosion Bout. 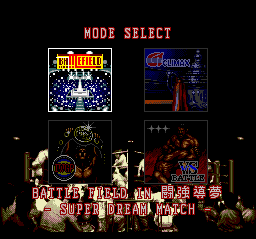 The Super Dream Match mode is just a single match -- each player selects a wrestler and they go at it until one player's health bar is whittled down to nothing. The matches can actually last for quite a long time -- even if the bout goes past the regulation five-minute mark, the game will keep the wrestlers going until one of them definitively defeats the other. 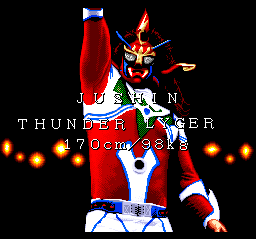 An interesting touch is that a player can voluntarily climb out of the ring, setting off the ring-out timer while taunting his opponent or nursing his wounds. The AI doesn't quite know what to do with this, it seems -- I once saw a computer-controlled opponent follow my wrestler outside the ring, and then after I had climbed back in, he continued to stand there, unmoving, for six whole counts of his own twenty-count ring-out limit. The G1 Climax Super League mode sets up a matrix of matches, which play out in the traditional manner. This display tracks the wins and losses for the red (player one) team versus the blue (player two or computer) team. 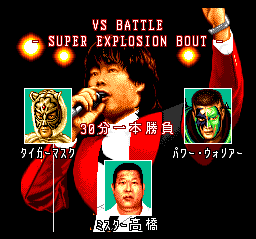 And the Vs. Battle Super Explosion Bout, despite its colorful name, is not an extreme version of the game involving dynamite or other pyrotechnics. 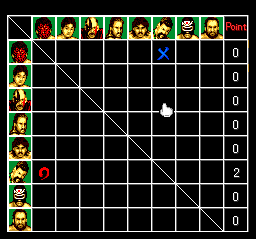 It simply allows a single player to select both of the wrestlers, instead of leaving the choice of opposition up to the computer's random whims. 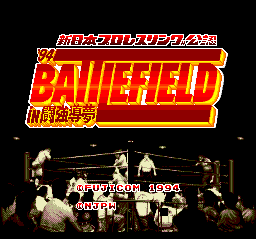 Shin Nihon Pro Wrestling '94: Battlefield in Tokyo Dome is a competently executed wrestling video game -- the additional memory afforded by the Arcade system card makes for reasonably fluid animation and quality sound. 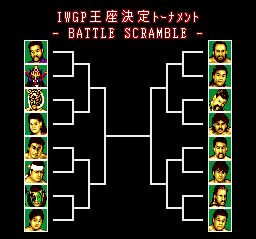 But it's still just another 8/16-bit wrestling game; it's notable on these shores mostly for its unfamiliar but fresh and officially licensed cast of colorful wrestlers. This one should be inexpensive if you can find it in stock -- you might turn up a copy here. But my random pick this week turned up one of the semi-honest partly-originals -- Magnavox's Pick Axe Pete! for the Odyssey^2 console. It clearly borrows from Donkey Kong -- the rolling boulders that menace Pete resemble Nintendo's barrels. And it may have been inspired by Bill Hogue's Miner 2049er to some degree. But it feels fairly fresh and is definitely one of the better games in the Odyssey^2's limited library. Pick Axe Pete! challenges the player, as Pete!, to survive the levels long enough to score points by hitting the "gold bearing rocks" with his pick axe, and now and then to pick up a key and dive more deeply into higher-scoring levels of the mine. There are 9 different boards, selectable at startup by pressing a digit on the console's famous keyboard from 0 through 9. The rolling boulders that menace our hero are fairly predictable -- once they come out of a gate, they bounce along to the end of a level, drop down, and then bounce back in the other direction. What's not very predictable are the other events that have to happen to actually satisfy Pete's objective. He must locate the key to escape each level, but it shows up more or less randomly. 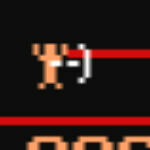 And while his fabled Pick Axe is in his hand at the beginning of the level, it eventually times out, and Pete! must then dodge nimbly for his life and hope he survives long enough for it to reappear. If it does, it lands somewhere else on the screen, and he can only reclaim it if he can get to in time. These time elements are a constant nuisance -- most of the time Pete finds himself at the top of the screen, in prime key-grabbing position, only to have his Pick Axe disappear just as a boulder heads his way. The key also does not last long once it appears -- it quickly decays into fading pixels, making it even harder to grab. So while there is a degree of skill and strategy involved in playing Pick Axe Pete!, there's also quite a bit of luck involved. Pete's not completely at the mercy of his appearing and disappearing weapon -- he can jump and duck, though jumping seems to be a lot more productive than ducking given the boulders' patterns. And the official game manual is almost completely useless here, indicating that Pete's evasive moves are based on the positions of his hands when we hit the action button. It works nuch better if we simply ignore the instructions and just experiment with the timing to learn what he can do; I tend to stick with the jumping. Pete's fairly detailed animated moves, and his pick axe, seem to be the only "original" graphics in the game -- the limited 4K size of this cartridge, large by the console's standards, likely made reliance on stock graphics a space-saving requirement. And the action resumes with more of the same, ramped up to a slightly more difficult level. Time has passed, of course, and beyond the glow of nostalgia Pick Axe Pete! now qualifies as a fun game only in brief sessions. There's not enough depth here to merit serious attention by contemporary gamers, but until we've mastered the mechanics it presents a degree of entertaining challenge. I often wish a sequel had come along during the brasher, edgier Sega Genesis era, only because I really wish there was a cartridge out there called Kick Axe Pete! But the Magnavox intellectual properties seem to have vanished along with the first wave of the video game industry -- nobody has inherited the North American Philips mantle and kept these franchises alive. The parent Dutch company, Philips, is still around, so we know who owns the rights, but they seem uninterested in releasing these in any official sense of the word. Perhaps the memories are just too painful. I'm not a diehard or even a very focused videogame collector -- there are few particularly unique or precious items in my library, which has been assembled more or less at random over the years, driven more by price and opportunity than any coherent strategy. Some things I find and keep, some games I play and then trade or sell, some items have been tucked away in boxes so long I've forgotten I even have them. But sometimes serendipity takes me in an unexpected direction. Regular readers will know I've recently been covering a lot of titles for the Odyssey^2, Magnavox's third-place machine in the early-80s console sweepstakes, primarily because a friend recently gave me a number of games for the system. These games are generally simple and straightforward to play and discuss -- there isn't really that much to them, compared to, say, NES or Playstation titles. So on a limited blogging time budget they fit in rather nicely, and they're usually historically interesting if not otherwise notable. My current half-formed plan was to play these games until I get bored, or go through the set on hand, and move on to something else. This past weekend, however, I went out to hit some thrift stores, and just as I was starting to make my usual remarks to myself about how early-80s videogame technology never turns up anymore, I ran across a collection of Odyssey^2 games along with "The Voice," Magnavox's voice synthesis module, in a damaged but original box. I wish I'd found this batch at the rummage sale where it obviously originated -- the box of games marked ".25 each Mini Games" was now labeled "Antique Video Game" and priced at a hefty markup -- but it didn't appear that anyone took an interest in the contents before my arrival; the interesting stuff (to the few, the proud, the geeky) was still there, and I really couldn't pass it up. See, I've had a close call with The Voice before -- I once found an Odyssey^2 at a flea market with several of the Voice-specific games, but no sign of the add-on. So now I have one sitting in my living room, along with 21 other Odyssey^2 games, 15 in box, including a handful of rarer late titles I didn't have yet. It seems somebody in my neck of the woods was a diehard Odyssey^2 fan back in the day, sticking with the system and investing in a growing collection quite late in its lifecycle, and I'm glad to give that anonymous gamer's painstakingly assembled collection an appreciative home. So, yes, now it seems I have an actual Odyssey^2 collection. It's far from complete... but farther from incomplete than it used to be. The illusion of accomplishment is surprisingly hard to distinguish from the real thing. 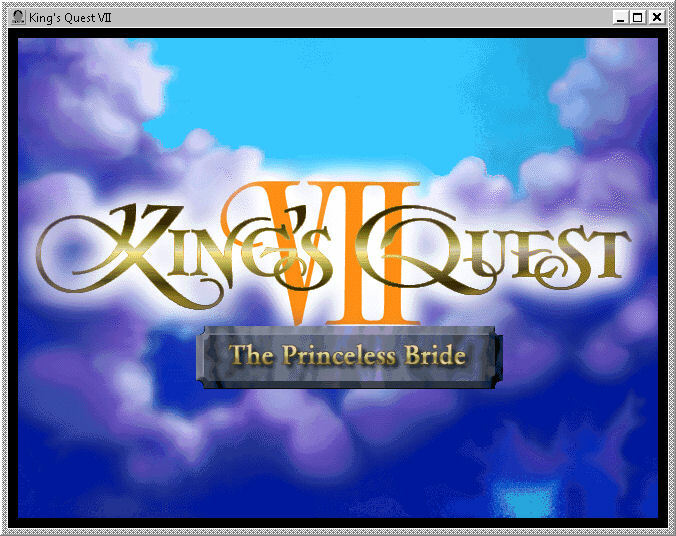 Longtime readers will observe that it's taken me a while to get around to this one, largely because I found myself fervently hoping it would be shorter and less convoluted than the (in my opinion) overblown King's Quest VI. And it is indeed -- there are still some tricky and obscure puzzles, but the design prefigures the modern episodic adventure era by dividing the story into six chapters, each a complete adventure in itself. These chapters can be played independently, so if one gets hopelessly stuck, one can just start at the beginning of the next chapter, giving even novice players a chance to experience most of the story. I really like this structure -- the episodes are playable in several hours each, and the tighter plotting imposed by the chapter structure lends itself to better storytelling. I like the looser, funnier characters a lot too -- this entry in the venerable series plays it less "straight" than its predecessors, thanks to a solid script by Lorelei Shannon, but the style is still in keeping with the King's Quest universe. 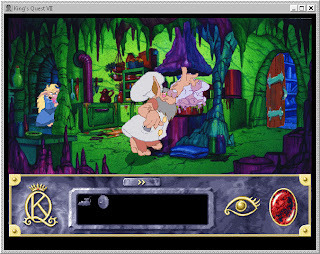 The issue turned out to be a CPU-sensitive timing bug in the original design, which, unlike Sierra's self-adjusting animation and music technology, caused a specific event countdown to happen way too quickly on a modern PC, allowing no time for the player to react. To solve the problem, I had to download and install a substantial "upgrade" package which allowed the game to run under good old speed-adjustable DOSBox. 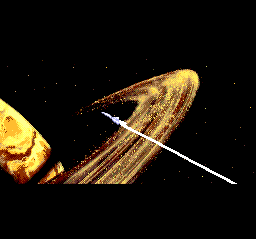 And as my existing Windows engine saves were not compatible with the DOS engine, I was relieved I could get by with a replay starting at Chapter 5, though I still had to repeat a number of actions I had taken care of earlier than required in my original playthrough attempt. An alarmed Queen Valanice follows her daughter into a massive whirlpool, but fails to rescue her as a beefy, Popeye-like cartoon arm grabs her, and our story is underway. 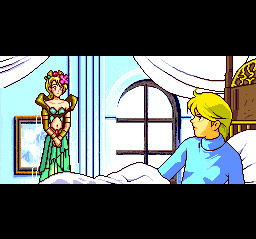 The style of this game is more modern but less realistic than the VGA-era King's Quests -- the art design has a cartoon look, with lush hi-res backgrounds and detailed character sprites. 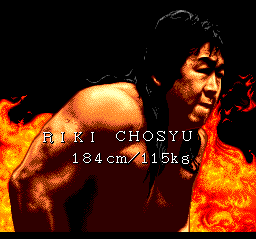 The look works quite well and is more unified than the early VGA-era Sierra games, although sprite scaling is still noisy and pixelated with no smoothing algorithms. I also ran into a bug at one point where the background "mask" registration slipped, leaving black outlines visible around "layers" of the drawing. Roberta Williams' storytelling is considerably streamlined in this game, with fewer unnecessary conversations and a lot more humor and hinting. The interface design borrows heavily from Lucasarts' book -- there isn't any traditional narration, and the characters don't comment at length on items either, leaving the series' text adventure roots behind. Our heroines can still die, but the game now has automatic checkpoints to simplify play, allowing us to pick up immediately before each fatal mistake to avoid those frustrating replays. 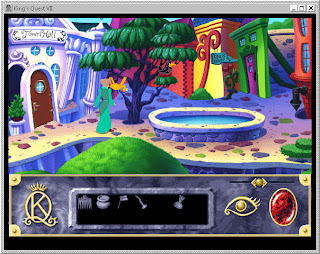 The game interface is even more simplified than Sierra's earlier point-and-click designs -- there are no longer any action icons to cycle through, just a single wand, except in the inventory screen, where we can look at items by picking them up and dropping them on the eye icon, or combine them by dropping them onto each other. There's also a panning slider available for viewing some of the wider panoramic backgrounds, though in practice it feels less artificial to just walk around and explore that way. CHAPTER 1 - "Where in Blazes Am I?" 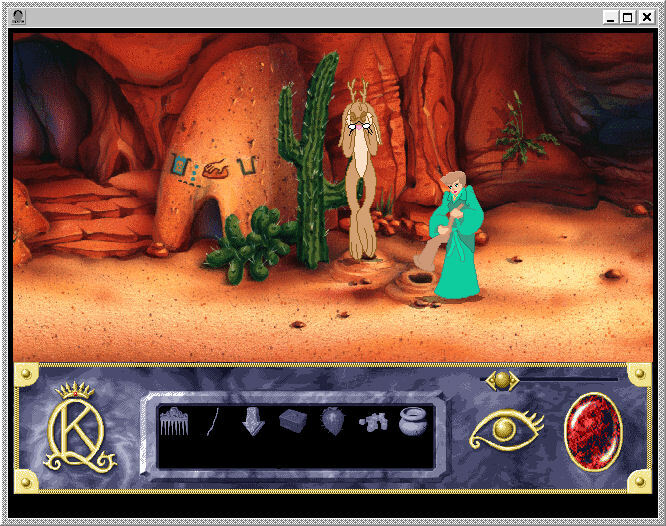 The game begins with Queen Valanice landing in a desert environment reminiscent of Chuck Jones' Road Runner cartoons, with Princess Rosella nowhere in sight. 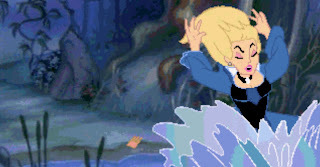 The animation here is a bit misleading -- it looks like Queen Valanice intentionally tears off part of her gown, before she says "Blast!" We're meant to understand that the cloth has been accidentally torn off on a nearby cactus, but at first one fears for her sanity, or at least her modesty. There's a fairly complex puzzle in the neighborhood -- Valanice must manipulate jewels on a Buddha-like statue above a salt-water well with something visible at the bottom. We can change the statue's head to two different styles, collect some salt crystals at the well's edge, and pick up a stick lying on the ground. Clearly we will need some more information to figure out what we're supposed to do here. In an ancient temple, Valanice must use the fragment of cloth from her skirt, and a stick, to make a flag and "toreador" a giant scorpion, which tries to attack and gets its stinger stuck in the wall. 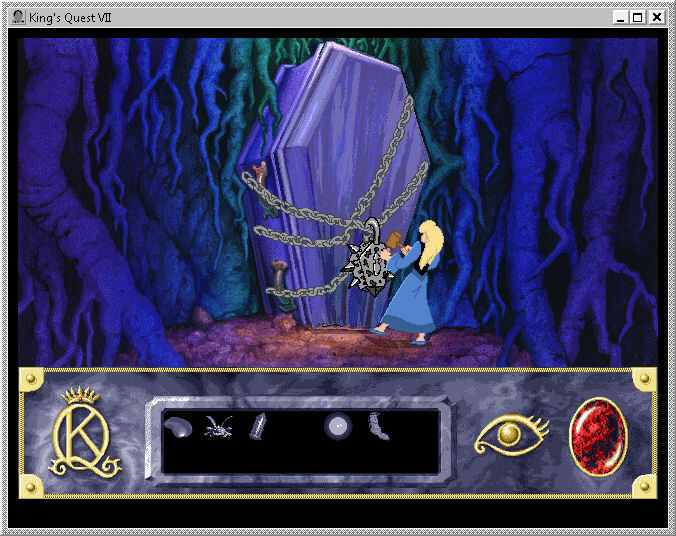 This situation eventually expires, freeing the scorpion and forcing Valanice to flee, but it buys her some time to examine a puzzle in the tomb. We must mouse around until we find a clickable switch, and then place colored gems to reflect and focus a light beam. I didn't discover any principle to this puzzle -- trial and error suffices to put the three stones where the game wants them to be. Doing this yields a stone arrow required to open a cave nearby. 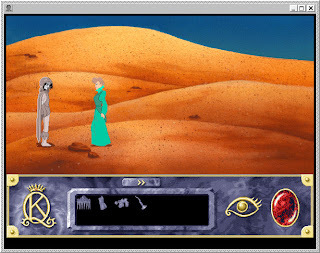 Valanice can also explore the wider desert, with music reminiscent of the desert theme from KQ V; here she encounters a strange, eternally thirsty phantom nomad, who resembles a zombie but is apparently a ghost. She can't seem to follow him, and giving him salt water just ticks him off -- but if we click on him in time, before he wanders offscreen, Valanice says "Excuse me, Sir" and can talk to him briefly. There's a hunting horn by a skeleton -- we may presume both belonged to this gentleman in a former life. A recipe carved on a stone wall seems to indicate that poison water + drops + upside down bowl + empty beaker will yield something of interest. Actually, the drops are stones in the third column from the left on the puzzle statue's collar. Another recipe shows a poison beaker + tears + what looks like a paddle + corn, used to yield drinkable water. We find a small basket and four clay pots in a nearby cave -- unfortunately, most of the pots break when Valanice tries to get them, but the fourth one stays intact (no matter which order she touches them in, so this is just a little gag by the designers.) She can then collect salt water from the well in a pot, and pour it into the statue's bowl. The rat won't chat with Valanice at any length, he just wants to trade, offering useless (but rhyming) junk in exchange for most items. Showing him Rosella's golden comb, lost in the chaos, yields another worthless offer of blue mold, but does provide some important information -- we learn that Rosella is rumored to be with the Troll King, "to the west and far below." We can also now snag some jackalope fur from the cactus near his hole, if we didn't notice it hanging there before. I got stuck here for a bit, unsure of what to do next, because I didn't realize that we actually have to rotate inventory items (in a pre-rendered three-dimensional view) to see some critical details -- in this case, more thoroughly examining the basket reveals that it has a corn kernel in it. We can plant it in the damp spot to grow ears of corn instantly; once we give the statue an ear of corn, it holds onto it and will not let it go. So that must be one of the right things to do. A nearby gourd also opens up with a loose seed that we can trade to the rat for a turquoise bead. See what they did there? Queen Valanice is an interesting heroine -- and she's not always quite polite, which is refreshing after watching King Graham and Prince Alexander kowtow overmuch to everyone they meet. And it's nice to see her doing more than sitting in a tower or a throne room. Back to solving the puzzles. The recipe apparently indicates that we need tears -- and we can make Valanice make herself cry with Rosella's comb. Now we can freshen the salt water from the well, and give it to the phantom nomad. He is grateful, and gives Valanice a bottle of bug reducing powder, which can be used to shrink the temple scorpion to normal, non-threatening size, though none of this is really necessary. I got stuck again for a bit, and had to resort to a walkthrough to learn that one of the cryptic drawings on the cave wall has to do with draining the well. Experimentation while I was temporarily delayed discovered that if Valanice drinks the fresh water herself to survive longer in the desert, eventually a whirlwind comes along and dries her to dust, rather graphically. The walkthrough helped me realize I needed to hunt down a tiny active spot on the statue's other wrist to dump out the water, and that bead positioning on the statue's neck has nothing to do with the freshwater conversion. We need to manipulate the statue so it's sporting its sun-god head, and turn its wrist over -- the pool now drains so we can explore it. At the bottom of the well is an ancient idol holding an offering bowl, and Valanice gets punished by drowning if she steals from it. While it's nice to see that these royals are finally being treated like ordinary citizens, it's better to avoid le deluge by putting the turquoise bead into the bowl first, so we can take one of the puzzle pieces stashed there in exchange. CHAPTER 2 - "A Troll Is As A Troll Does"
We now rejoin Princess Rosella, who wakes up in the Troll King's chambers and is rather surprised to find she has been turned into a troll herself. In the community cavern, Rosella meets a female troll named Mathilde, whose voice for some reason is not particularly well-acted or recorded. But she tells us that she can turn Rosella back into a human if we bring her five items: baked beetles, a crystal dragon scale, a gold bowl, water of emerald, and a silver spoon. So there's some item collecting ahead. Some troll men are asleep in a mud-filled hot tub. Listening to them, Rosella learns that the game's villainess, Malicia, is a human woman in the spirit of Cruella deVille, with a small dog and a black fur coat and hat, rumored by the trolls to be from the world above. There's a lava/mud stream mining operation in the caves, with a shaky chair elevator that's not accessible until later in the chapter. A beefy troll guards the bridge, and demands a thousand pieces of lead and a rat on a stick for passage. There's a wagon parked up the nearby hill that, it appears, could be used to knock him out of the way, but it only has three wheels, so we need to fix this wagon before we can fix his. The shield near the Troll King's throne could work as a wheel, but we need a pin of some kind to attach it to the axle -- close examination reveals that there's a spike on the shield that we can remove and use to lock the shield in place as a wheel. Now Rosella can ride the wagon to knock the troll out of the way. Past the troll lies a very pretty crystal cavern, home of a large snoring and sighing crystalline dragon. The giant beast cries copious tears, but they don't seem to crystallize. So we must have to make other arrangements on this front. We can also visit the troll forge, where the fire is VERY hot and the blacksmith won't let Rosella borrow the tongs, asking her for a smooch though she clearly finds him repellent. We find a mallet and a spoon mold here as well, and a polite troll jeweler toiling away in his workshop. Below the forge is a cavern with some chunks of sulfur on the wall and pools of phosphorescent goo (the water of emerald) we can collect in the gold bowl. There is a lantern on the far side of a field of lava pillars with a remarkable updraft. Rosella can jump across these pillars, but some apparently possible routes are fatal, and the auto-checkpoint system comes in very handy as she finds her way across to claim the lantern. Revisiting the mud pit, we find some troll women bathing there, and can listen to their gossip to learn that wet sulphur placed in a fire puts trolls to sleep. Now we can put the blacksmith to sleep, borrowing his equipment to pick up, cool and de-mold a silver spoon. That's one item down, and we also note that Rosella is more conscientious than her father and brother -- we can't take the tongs along, but have to return them to the forge. We can capture a spark from the forge in Rosella's lantern -- this turns out to be the practical kind of spark that the crystal dragon is missing, and can be used to light her fire, literally. There's a nice lyrical interlude here as the revived dragon soars into the air, although the primitive CG animation here is not very good or expressive. The winged serpent promises to give Rosella a scale when she returns, and gives her a big gem now. Now that Rosella has collected all the ingredients, Mathilde prepares the promised spell, and after a few comical misfires, Rosella is human again, creating yet more work for the animators. The evil Malicia shows up, of course, and despite King Otar's protestations, imprisons Rosella in her room. Rosella can stack furniture and move a portrait on the wall to escape through a tunnel -- for some reason she couldn't do that as troll-Rosella earlier -- and when she emerges, she finds a silver pellet and a dragon toad. CHAPTER 3 - "The Sky Is Falling!" Exploring the lush forest nearby, we encounter the majestic stag Attis, who advises the Queen that these woods are cursed. We also learn that he was once human, but now he is a stag and his wife, Ceres, a.k.a. Mother Nature, has been transformed into a tree. He is surprised that a noble of Etheria has the power to reach this land, and warns Valanice of the dangerous werefolk lurking in the woods to the west; he informs her that she can buy a salve in the village of Falderal that will allow her to pass through safely. Valanice has to jump across some rocks to reach a huge spiderweb, with potentially fatal missteps that make the game's instant-recovery feature very handy indeed. A creepy spider who sounds like Peter Lorre (or Ren Hoek, depending on one's frame of pop-culture reference) has trapped a hummingbird in its web. Roberta Williams' ethics always ask us to favor the cute over the creepy, regardless of the actual workings of nature, so if we catch the arachnid in a box we can free the bird and clear Valanice's path past the web. Valanice approaches the huge door of the Village of Falderal, where a Pythonesque exchange ensues as the door's guardian demands she deliver the Holy One-Ton Tomato of Antioch to gain entry; Valanice calls him on it, declaring that there's no such thing and displaying considerably more backbone than King Graham ever did. She can enter a smaller door to the side to visit the cartoon town of Falderal, where the local authority is a French poodle named Archduke Yip-Yap, a bull named Ferdinand runs the china shop, and Chicken Little runs around in a constant panic while everybody ignores her. Valanice (once again employing her daughter's comb as a conversation piece) gives the Archduke her sob story, quite literally in this case as he bursts into tears and allows her to explore the village. Yip-Yap's birthday masquerade ball is in the offing, and Ferdinand has a mask for sale at the price of eighty gold pieces; Valanice has no money, but if she recovers his beloved china bird, recently stolen from its cage, perhaps something can be worked out. Valanice mentions that she is afraid to breathe in the china shop, as everything looks so fragile, but blowing the big hunting horn here does nothing interesting. An odd, fishy con man pushes various kinds of merchandise from a ramshackle kiosk, and has the china bird concealed in a cage nearby; Valanice can talk to the bird to confirm that she wants to go home to Fernando. Valanice can now spirit the bird away, get the mask, enter the Archduke's party, and sneak into the back castle area, designed with an M.C. Escher vibe including crazy staircases and upside-down rooms. We can read parts of a tarnished poem, open a drawer only to see the bag within fall up to the ceiling, and go through a funhouse mirror to re-enter the room properly oriented and pick it up. There's a magic statuette in the Archduke's office -- Valanice can use Rosella's comb on it to see a cutscene of Rosella riding the elevator up from the land of the trolls. Valanice will also witness Chicken Little's prophecy fulfilled, in a manner of speaking, as a chunk of green cheese falls from the sky and lands in the town square's reflecting pool. Valanice can't quite reach it from the edge of the pool, setting up another puzzle for later. I got hung up here for a while, and had to consult a walkthrough to discover that I'd missed another area to explore to east of the spiderweb. There's a giant snoring face here, built out of moss-covered boulders -- we can make it sneeze by hitting it twice with the feather, but that just blows Valanice back to the bridge area the first time, and all the way back to the nomad's skeleton in the desert if she persists in annoying the rock spirit. 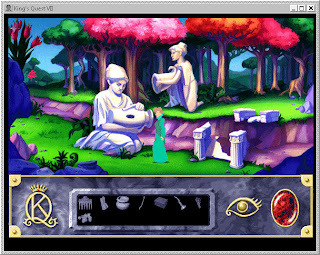 The walkthrough indicates that we need to talk to Attis the stag some more, so that we can properly introduce ourselves -- now the stone spirit tells Valanice she needs to put sacred nectar into the statues' cornucopiae near the riverbed to get the river flowing again, and bring sacred food to restore the river's healing powers. If Queen Valanice talks to the hummingbirds, they pour a huge amount of nectar out of one flower, which Valanice can collect in the clay pot found earlier. Once the sacred river flows again, Attis is freed and becomes human, but Ceres is revived in severely damaged form, and in danger. Attis must try to save her before he can further assist Valanice, so we need to help him out. The green cheese from the "moon" incident counts as the sacred food, but we have to return to Chapter 1 territory and visit the kangaroo rat again to trade the book bought at the Faux Shop for a crook so we can retrieve it from the reflecting pool. 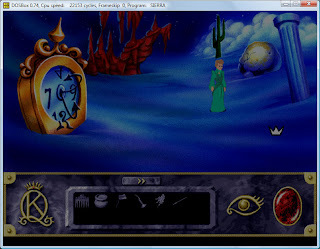 Once Valanice retrieves the green cheese, she is promptly arrested by the Archduke's troops for stealing the moon and other crimes unspecified. CHAPTER 4 - "Will the Real Troll King Please Stand Up?" Our focus turns back to Rosella, as she arrives above ground to find herself in a cemetery, in the creepy world of Ooga-Booga. The gravedigger helps her out of a hole in the ground with his shovel, then gets back to work, complaining about his primary tool's quality. 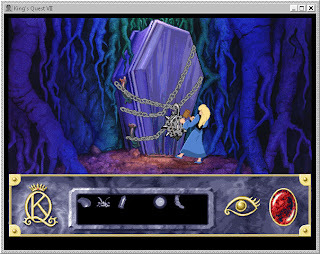 The cemetery has its comical elements, in the King's Quest tradition; Rosella can fall into an open grave, causing the tombstone to change to read, "Rosella - Rest In Peace." A crypt displays a skull, bat, and spider on its door; similar symbols are spraypainted on the ruined chapel to the west. A shadow dog appears, barks, and vanishes on the wall; at first he seems to be there for atmosphere, but there's a related puzzle to solve later on. The lower cemetery section features a weeping female phantom, a flying horseman, and a dangerous toothy monster. If Rosella tries to talk to the weeping lady, she reveals her face and scares the princess to death. Rosella will also see a bratty kid monster spraying graffiti, and meet the semi-collapsed Dr. Mort Cadaver. The good Doctor has given away his spine to a needy patient, and he can't (literally) stand up to these ruffians. In a nod to 90's pop culture, a rather creepy mouse, in the Doctor's office for "attitude adjustment," asks Rosella if she has any fava beans. The bratty urchins live in a nifty Jack-o'-lantern treehouse. Rosella can try to climb up the "ropes" that drape its lower reaches, but will discover that these are actually web strands, fatally guarded by a giant spider. There's a rope/bucket elevator that can be used as long as the occupants are out; in the treehouse, Rosella must work quickly to find a foot in a bag and Dr. Cadaver's backbone, while avoiding a fatal jack-in-the-box. Revisiting the gravedigger establishes that he needs an animal to drive his rat-powered grave digging machine; the Doctor gives Rosella a strange pet after she gives him the backbone (and he's much taller now too.) Rosella can offer the odd animal to the Ooga Booga treehouse kids, but if she goes up there herself, she is attacked. Instead, she can send the critter in, and the gravekeeper's loving pet rat is allowed to escape from his erstwhile kidnappers. When Rosella returns the rat to the gravedigger, he gives her a horn -- she must blow it wherever she wants him to come and dig a grave. She can take his old shovel too, and free a poor cat from the brats' torments by opening a sealed mini-coffin with the chisel -- the grateful, freed animal gives her one of its lives, and advises Rosella to seek advice from the creature buried beneath the deadfall. We can get the gravedigger to dig a hole there, and we land in front of a large padlocked coffin which we can't open with the chisel. We can, however, use the symbols engraved on its surface to open the combination lock, using the bat/skull/spider combination seen earlier. 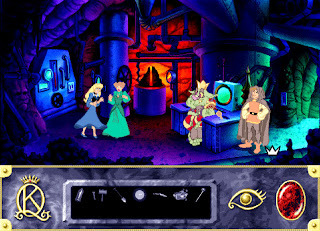 Inside, Rosella discovers the REAL Troll King Otar, secreted away by Malicia with an impostor in his place underground. Unfortunately, Malicia shows up immediately and locks BOTH Rosella and the King in the coffin. Rosella can use the dragon toad to dig out, and travel in disguise with the King magically transformed into a scarab beetle. The Doc advises Rosella to get out of Ooga-Booga as fast as she can. Malicia's gargoyle is on the hunt, and if we turn the King back to himself prematurely we are caught. The area south of the treehouse contains a moss monster -- the Doc gives Rosella a defoliant to dispel this foe. A carnivorous plant a la Audrey II presents the next obstacle -- it's prone to eating Rosella, ending up with a crown on its head like in the old margarine TV commercials. We must enter Malicia's abode to find the secret of defeating her. The gargoyle out front tends to sound the alarm, so we can't stick around the front of the house too long. Exploration in back of the house establishes that we're on the other side of the Werewood, though we can't pass through it either and it seems Valanice will have to come this way. I had to consult a walkthrough to learn that we can throw the foot-in-a-bag to distract the plant; it's a very Little Shop of Horrors puzzle in retrospect, and I really should have thought of that on my own. We can pluck a fragrant flower, which doesn't seem to distract the gargoyle's sensitive nose successfully; the death commentary once again hints that we should just avoid this stone guardian. We can go around to the back of Malicia's house, move some vines, and dig to enlarge the hole thus discovered. Rosella emerges in Malicia's bedroom, and we overhear the villainess talking to her dog Cuddles about her "miserable, dreary house." But Rosella gets zapped if she tries to climb out of the floor too soon, yet Cuddles sniffs her out if she hides. The fragrant flower doesn't help here, either, but Rosella can shoot some defoliant up the pooch's nose to get rid of both Cuddles and his mistress. Searching the room, we find a mysterious magic device (as mentioned earlier by King Otar) in Malicia's drawer, and can keep one of her woolen stockings, too, after spending entirely too much time going through her lingerie. Rosella can use the stocking with the silver pellet she minted in the Troll Kingdom as a sling against the werewolf in the werewood. The other eyes in the woods vanish and flee, but one last claw steals the black robe as Rosella emerges on the other side of the forest, where we have been with Valanice earlier. Arriving in Falderal, Rosella learns that her mother has been arrested. 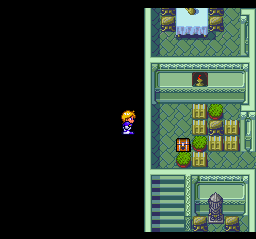 She can enter the Archduke's house, where the mirror Valanice used to get around is now boarded up. 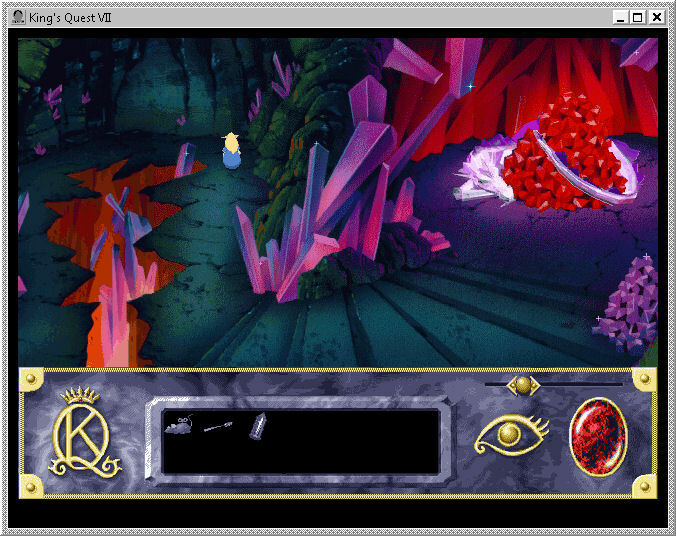 Rosella uses the stocking (occasionally adventure game items do serve multiple purposes) to clean the tarnished plaque Valanice saw earlier. The revealed text indicates that the Cherub statue wants fruit; we can chisel a golden grape off the decor, revealing a gateway that Rosella cannot open herself. CHAPTER 5 - "Nightmare in Etheria"
Valanice is sentenced (after much over-the-top debate) to make good on her presumed crimes by putting the moon back into the sky. The fast-talking fish salesman is back, and wants Archduke Yip-Yap's nymph statuette, suggesting that it may have belonged to Titania, Queen of the Fairies, and setting up a theme for this chapter. In exchange for the statuette, he gives Valanice the werebeast salve, which she must mix with animal fur to transform so she can sneak through the werewood. The rabbit fur from the jackalope back in Chapter 1 will suffice. With nature apparently thrown out of balance, the local volcano starts smoking, and there's no time to waste. Valanice transforms into a jackalope, races through the wereforest (which is only one screen as it turns out!) 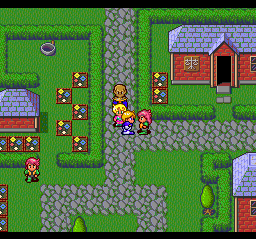 and ends up by Malicia's house where Rosella ventured earlier. The restored Attis pops in to destroy another swamp monster for the queen, allowing her to safely reach Doc Cadaver's house. The Doc has no new information for her, but a black cat tells us that Rosella is trapped in the Volcano, and Valanice needs to get to Etheria, hinting that the headless horseman should be able to help. We can't seem to intercept him -- he races through from time to time, generally either missing Valanice by a hair's-breadth or trampling her to death in his haste. Valanice can sneak into the bratty kids' treehouse, and steal a femur bone from the mummy resting against a wall. I ran into a game-ending hangup at this point, as the kids return and Valanice must escape, but I had no issues on a second try. 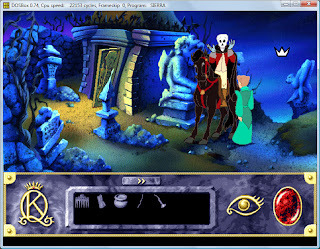 In Valanice's presence, the creepy silhouetted dog phantom emerges from the shadow; if she gives him the mummy's femur bone, he reveals himself as the headless horseman's dog, and gives us a medal that used to belong to the mad cavalier. Now Valanice can give the medal to the weeping lady at the horseman's tomb; she vanishes, but the horseman's crypt is still locked up tight. Here's where a major King's Quest VII timing bug came home to roost. Valanice can take a lit firecracker left behind by the bratty kids; it's apparently powerful enough to blast open the horseman's crypt, but once we've taken it, it explodes in very short order, killing our heroine. And the otherwise friendly You Have Expired resumption of gameplay just prior to this fatal mishap consistently comes too late to be of much help; Valanice can barely take a pixel's step before blowing up again. And if we choose NOT to try again, returning to the previous auto-save, Valanice still starts with the firecracker fatally in hand, so we cannot avoid this situation. As I mentioned above, the problem turns out to be that, unlike the music and animation code in Sierra' games, this timer is tied directly to the system's CPU. On a modern machine, it counts down so quickly that Valanice can only take a fraction of a step before she's blown up again. At first I assumed I had stumbled across some other sort of defect, and began replaying the adventure starting at Chapter 5; due to the game's episodic but loosely overlapping structure, I also had to restore the river of life and retrieve the jackalope fur all over again. But when I got to the critical moment, I STILL couldn't survive the firecracker bug. So I had to download a substantial patch from Universal Vivendi allowing me to run the game in a more natural-speed emulated DOSBox shell. I was back in business, but lost a couple of hours dealing with this! NOW Valanice can take the firecracker, blow the Count's crypt open, and find his skull inside. What to do with it now? She can give it to him when he first comes onscreen during one his hell-for-leather passes (trying to do it later is too late, as she gets run down by him almost immediately.) Reunited with his wife, the weeping phantom, he gives Valanice his fife and sends her to the fabled land of Etheria on his trusty (and much calmed) horse. Etheria looks like the land of Rainbow Brite, but it wouldn't be a King's Quest game if we weren't up in the clouds at some point, I guess. Valanice picks some ambrosia, and can get eaten by a nightmare beast in a cave. There are some fairies flitting about -- if we give them ambrosia, some music plays, and one fairy appears to leave, but the group seems to reform at full strength with no other visible result. I had to resort to assistance to learn that there's another accessible area north of the fairies room; it's hard to spot with the room's dense cloud cover. If we play the first four notes of the fairies' song (that's what that was all about!) on a magical harp here, a gazing ball warps Valanice to the plane of the Fates. Time for a little classical faerie lore here, as Valanice learns that Oberon and Titania are off in search of their lost child, and we must visit Mab, Queen of the Fairies, for assistance. To reach Mab in Dreamland, Valanice must sleep, which she can only do in Dr. Cadaver's office. Exiting Etheria presents a bit of a challenge; Valanice finds herself in a room with four different rainbow exits, each going to a different place. I went all the way back to the desert, and got killed by a werebeast in the forest, but continuation after death puts us closer to the other edge so Valanice can get through to Ooga Booga instead of being forced back toward Falderal. Valanice can't just use the Doc's coffin, we have to ask him to help her with a bad case of insomnia first. Valanice soon wakes up in a Dali-esque Dreamland, and finds Mab frozen in ice. What now? We can't look in the gazing ball again, apparently... oh, right, we have to play the appropriate tune to unlock it each time. This time, the Fates tell Valanice to visit the Lady of Spring, Flowers and Forest, a.k.a. Lady Ceres! Ambrosia, per classical convention, is the food of the gods; if Valanice puts some in the cornucopia by the River of Life, she gets a pomegranate in exchange. Ceres tells Valanice she needs to fill a crystal shaft with sunlight to unfreeze Mab, but she cannot take anything physical with her into the dream realm while she is asleep. Then she starts restoring life to the forest, and becomes too busy to tell us how to get there while awake -- she suggests we talk to the Three Fates again. 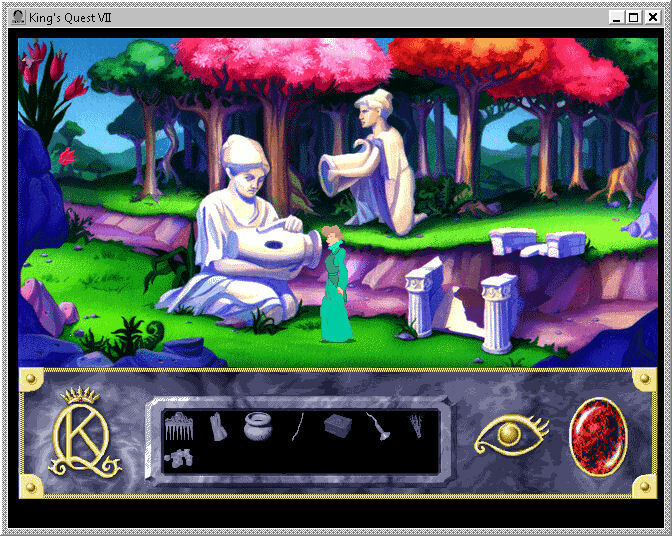 So we traipse back there (another King's Quest tradition that unfortunately persists seven games in) and learn we should seek the Fates' nephew, the Weaver of Dreams. They give Valanice a traditional dreamcatcher, and inform her that he surrounds himself with the terrors of night. We can use the dreamcatcher to clear the nasty beast from the cave in Etheria, and meet the fabled Weaver of Dreams inside. He's a bit of a slacker; he gives Valanice a magic carpet, another KQ staple, which allows her to travel to the land of dreams, and use the captured nightmare (the cave beast) to counteract another. She has to visit Malicia's house to get a crystal shaft from her lamp, return to the temple in Chapter 1's desert to charge it in a bright beam of light, and then unfreeze Mab, who it develops was enchanted by Malicia; our villainess' evil apparently really gets around. Mab gives Valanice yet more cryptic advice, urging her to "Send the winds to find the King and Queen." This turns out to mean that Valanice can mount Etheria's wild wind steed Sirocco, and ride it to the top of the mountain of wind with a magic bridle provided by Mab. At least in theory; this is a point-and-click precision challenge, as Valanice must hide a bit out of sight, and it's rather difficult to actually harness the fast-moving wind horse with the bridle. CHAPTER 6 - "Ready, Set... BOOM!" Finally we approach the home stretch -- all of the settings and characters have been introduced, most of the puzzles have been solved, and everything wraps up in fairly short order, compared to the preceding five chapters. As the curtain rises, Rosella has to transform the impostor Troll King back into his natural form. I thought this was a timing puzzle, but it's not just a matter of spotting and casting a spell on the right Otar -- I needed a hint to learn that we have to manipulate the wand, rotating its pre-rendered 3-D image in the inventory screen to get the F end operational. Ta-da! 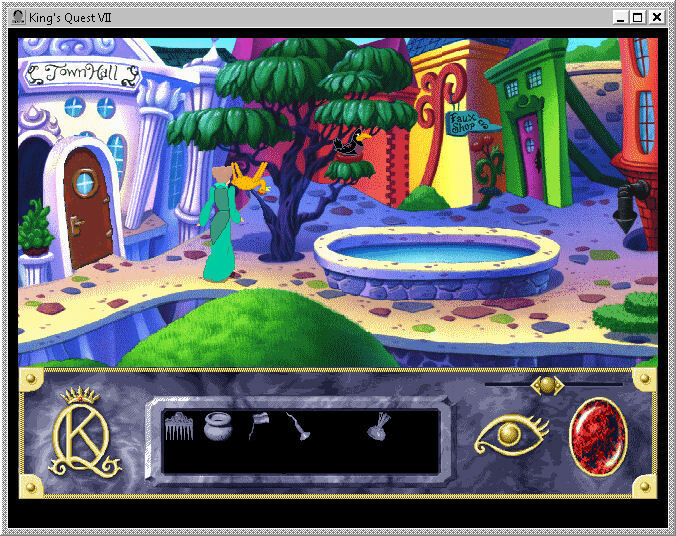 The impostor turns out to be Rosella's old friend Edgar, from KQ IV! Presumably he has been kidnapped and forced into service by Malicia, conveniently turning up just in time to provide an otherwise unforeseeable romantic happy ending here. Her scheme revealed, Malicia sends Rosella to the interior of the volcano in a fit of magical pique (why she didn't just drop her straight into the lava remains a mystery of villainous inefficiency) and knocks the genuine Troll King unconscious The Night Mare picks up Valanice, though the Queen won't really do much in this chapter beyond arriving in time for the happy ending. Rosella digs out through a weak spot in the Volcano wall and escapes through a tunnel. There's a face puzzle on a door here, which can be unlocked with the same combination used in Chapter 4 by King Otar. Past the door, Rosella pries a boulder out of the way, and uses it as a ramp to obtain a pungent flower. Next, Rosella uses the flower like smelling salts on the unconscious Troll King, who wakes up and conveniently stops the volcano from erupting by flipping a switch apparently designed for just such emergencies. Then Valanice arrives, and Rosella can use the mysterious device snagged from Malicia's house in Chapter 4 on the villainess herself when she comes in. At first I thought we couldn't seem to use it in time -- but we just have to plug it in and charge it first. With the device engaged at full power, Malicia is transformed into a helpless infant by Rosella's attack; we must then use the black cat's extra life on the unconscious Edgar to restore him to health (there is the possibility of a less-happy ending here.) 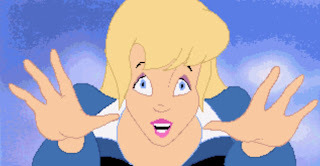 Edgar, of course, turns out to be the son of the Lord and Lady of Etheria, Oberon and Titania, which seems to be the case primarily so the artists can make him royal and handsome, instead of the more interesting sensitive hunchback he was back in King's Quest IV. With heroes blessed and villains cursed, the game is over -- we watch another Disney-esque animated video clip as Edgar and Rosella get romantic over a reprise of the opening's corny song. As the end credits roll, we note that there aren't as many name actors in the voice cast this time around -- Denny Delk is one of the few I recognized, based on his other videogame work. 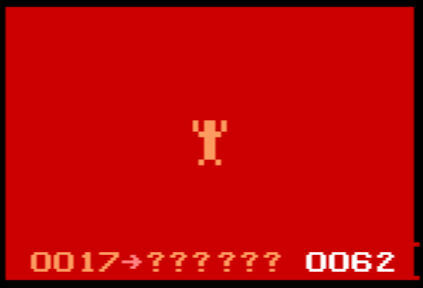 When the credits finish rolling, the game shuts down completely and we are back at the blinking DOS prompt, pregnant with possibility.